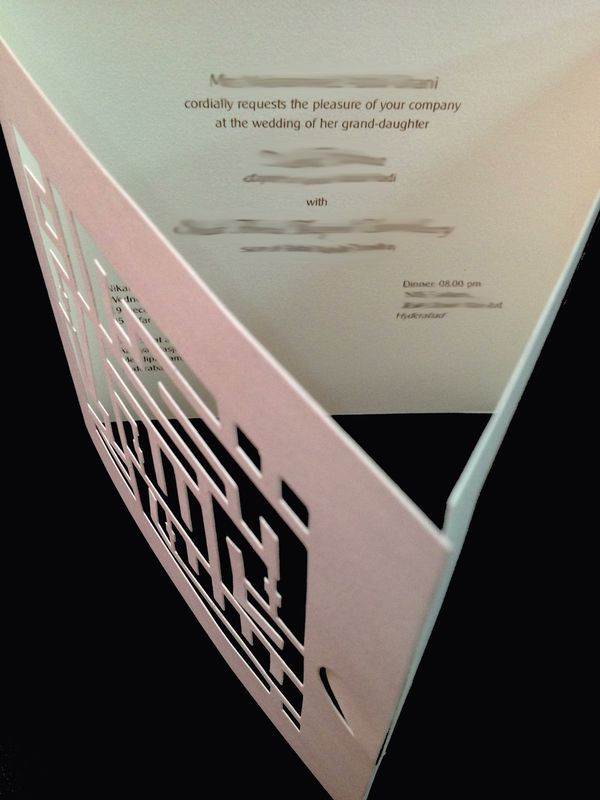 The concept was born of the idea to create a 3D invitation card, which would be able to stand like a pop-up greeting, and could be used by guests as a decorative memento. Stucco screens are an integral element in Indo-Sarcenic architecture. These intricate screens are functional and aesthetic: they provide a visual barrier while still letting in the light, casting changing shadows through the day. 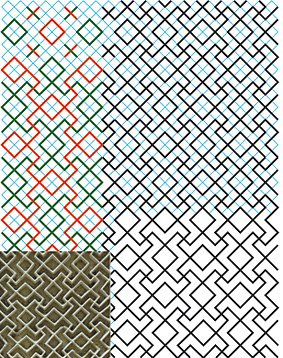 Like the one above from Paigah Tombs, Hyderabad, these screens are based on tessalation patterns of repeating geometric figures. 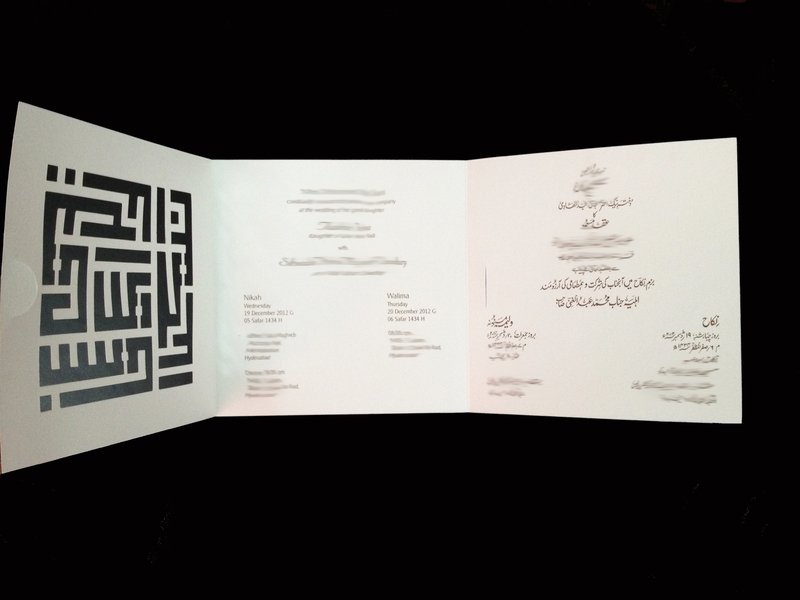 The Basmalah is the opening verse of the Quran, meaning “In the name of Allah, the most Gracious, the most Merciful.” This is printed on most Muslim wedding invitations. Due to the revered nature of this verse, these cards cannot be disposed of in a conventional manner. 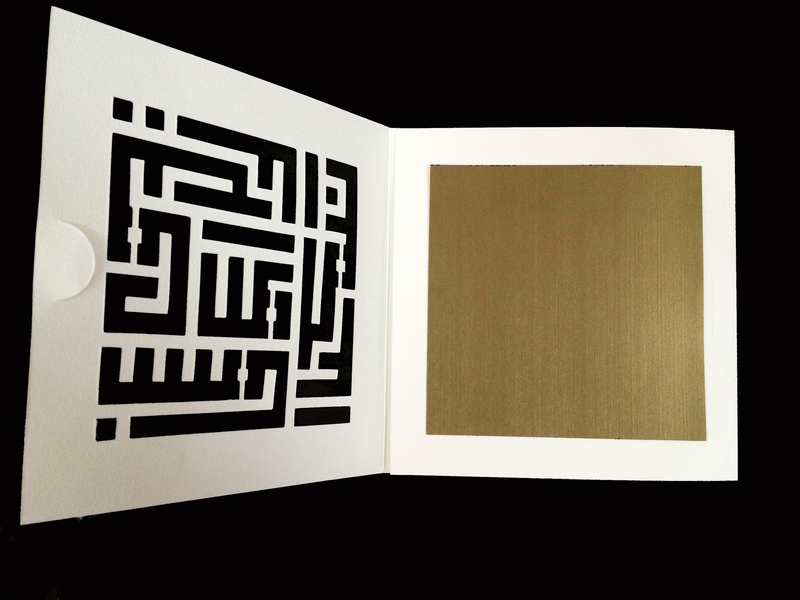 The usual practice is to cut out this verse and destroy it.In this card, the Basmalah is cut out of front face of the card in geometric Arabic script. 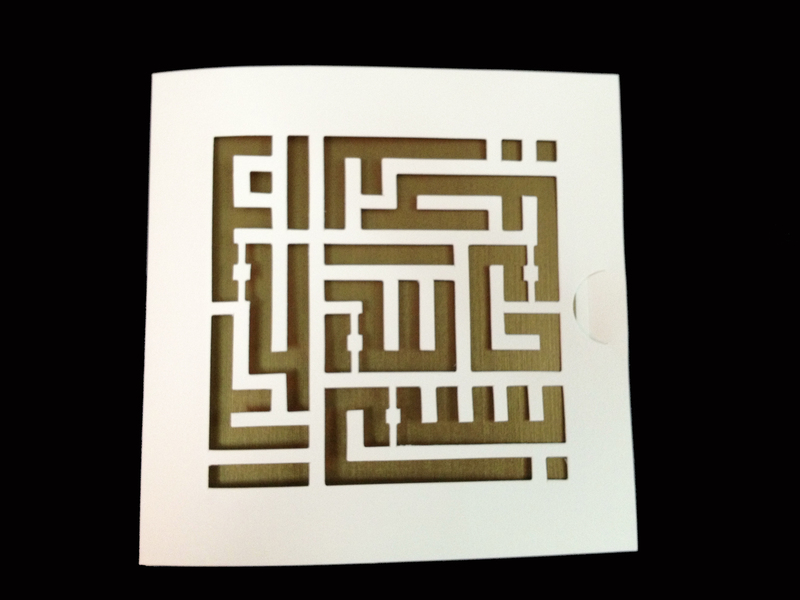 There are various artistic forms of writing the Basmalah (as of other Quranic verses). 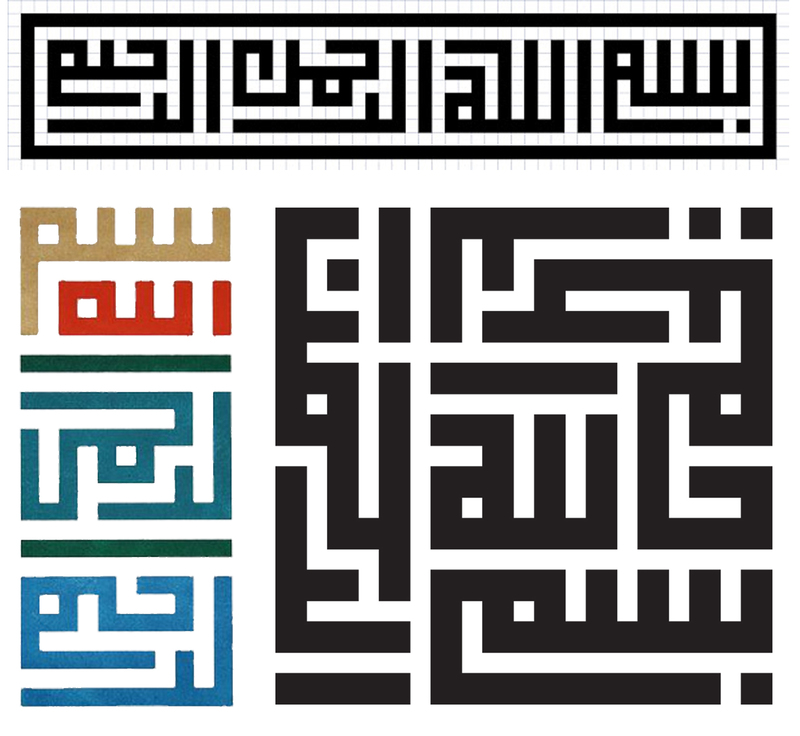 This particular form of calligraphy is called Kufic script, which is based on a square grid. The card itself serves as a decorative piece that can be propped up on any surface. The front flap of the trifolded card is reminiscent of the architectural screen, and can also be cut out and used as a decorative element. The technique used is called die-cutting. A metal die or mould is created from the given design, and pressed into the paper. 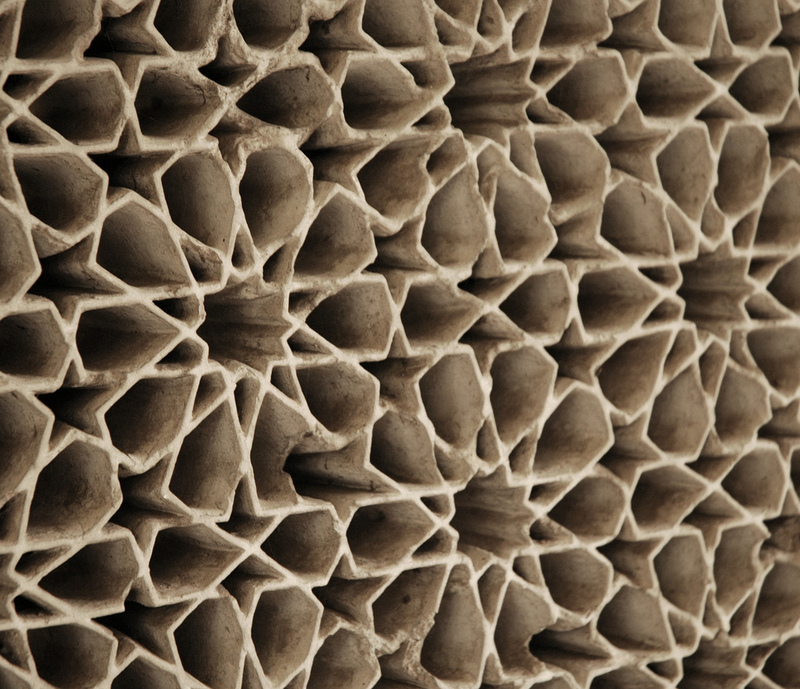 Light pressure creates embossment, and harder pressure cuts out the paper. Here is a video illustrating die-cutting.